PROBLEM: The valve of a mixer tap shall be controlled according to a desired given temperature. A three-way mixing valve with valve actuator is used. The valve is digital controlled in both directions. This is referred to as a 3-point stepper control. Varying the valve position can yield any mixing ratio of hot and cold entering water and so the water outlet temperature. SOLUTION: For SIMATIC S7-1200 as of firmware V2.0, the development environment STEP 7 V11 provides the "PID_3Step" 3-point stepper control block. 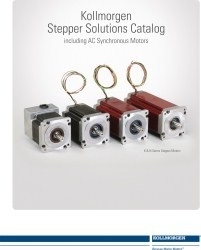 July, 2012 � Kollmorgen�s Stepper Solutions Catalog details the features, benefits and specifications of Kollmorgen�s complete range of stepper motors and stepper drives, AC synchronous motors, XTRUE planetary gearheads and Optimized Solutions that result in rapid prototyping, shorter design cycles and getting machines to market faster. Reply to this email to request a copy of the catalog. 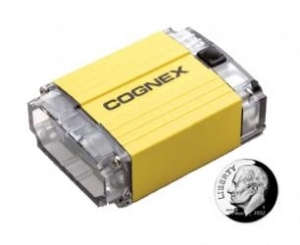 The Cognex DataMan is a compact fixed-mount 1D/2D code reader ideal for applications where space is limited. The liquid lens module is an electronically controllable variable focus system. 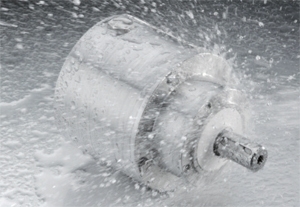 Brush-type motors, stepper motors and brushless AC servomotors are widely used in a variety of industries and applications - and with each application potentially requiring a different motor and the availability of virtually endless motor options, the selection process can be a daunting task. With the myriad of critical factors that need to be accounted for, including performance requirements such as torque and speed and voltage ratings, as well as decisions regarding feedback devices, mounting configurations and the operating environment, how can you be certain that you are making the best motor choice? And how can you make that choice quickly? Stop wasting time pouring over endless catalogs from multiple manufacturers - learn more about how to select the right motor to optimize the performance of your next machine in our new white paper, Servomotor Configuration. With custom ASIC technology, the new G6 sensor provides exceptional background suppression at an extended range and it can also detect multi-colored/shiny objects. It has a PinPoint LED, which provides high immunity to ambient light and cross talk immunity. It is designed to be the best performing sensor to replace other Asian manufacturers. Need good servomotor performance at an excellent servomotor price? Kollmorgen's new line-up of VLM servomotors are an ideal complement to Kollmorgen's high-performance and highly flexible global AKM� servomotor product line by delivering a lower priced solution built around a focused set of options. 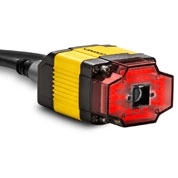 VLM servomotors deliver high-torque-per-dollar by leveraging specially selected components and flying leads that help eliminate the need for intermediate cables, and by utilizing low cost feedback options. The result is a high value, specific feature set motor that delivers solid servo performance for a wide variety of applications. Axis invites you to attend Certified Cognex training in our Somerville, NJ location. In-Sight Standard and Advanced gives new or potential In‐Sight users a 4 day overview of the hardware and software used by In‐Sight Vision Systems. The class features both spreadsheet application development and an introduction to EasyBuilder�. The class also focuses on advanced In-Sight spreadsheet use. Spreadsheet users will learn how spreadsheet functions work and apply their knowledge to complete the class lab exercises. The class focuses on hands-on labs to build advanced tool usage scenarios within real-world applications. The two day Standard class is $695 and the two day Advanced class is also $695. However, if taken together as a combined four day class the discounted price is $995. The DataMan 300 series of readers was developed to be a best-in-class barcode reader for indexed or high-speed lines. Is safety necessary on your application? Let us know what benefits are possible through implementing safety by taking a short survey. Every additional application entry qualifies as an additional entry to win an iPad2. Looking for ways to improve machine performance? Learn more in "An Inside Look at Planetary Gears, written by Howard Horn, Thomson Product Manager. 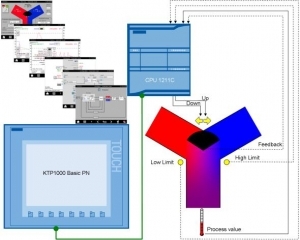 Read the full article published in the January 19, 2012 issue of Machine Design.